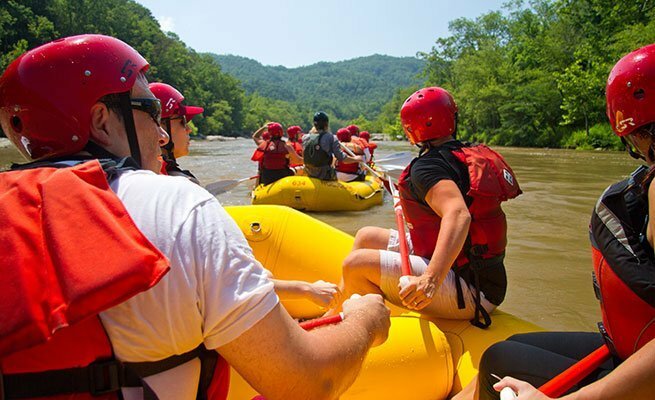 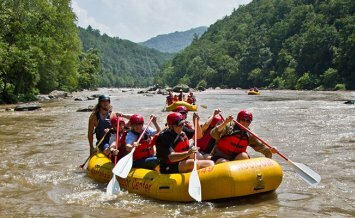 Only 30 minutes from downtown Asheville, a whitewater rafting trip on the French Broad River takes you down the world’s third oldest river and through scenic Pisgah National Forest. 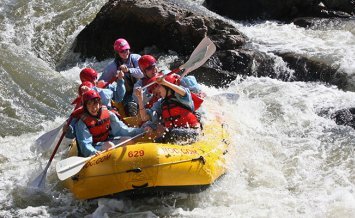 You’ll raft five miles of challenging Class II and III rapids with swift-moving channels and raft-sized boulders. 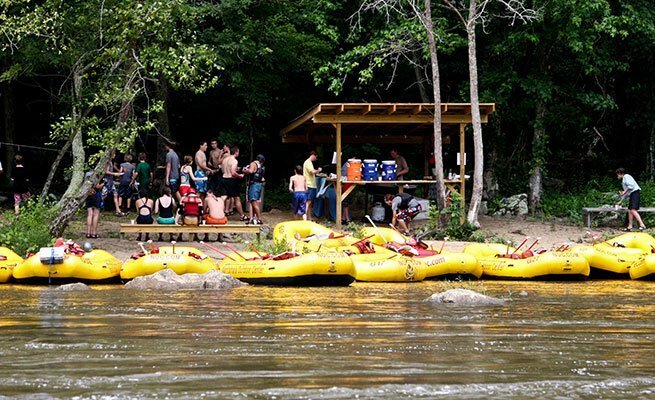 And, on this deluxe trip, your group will stop to enjoy a delicious riverside lunch freshly prepared near Ledges Rapid. 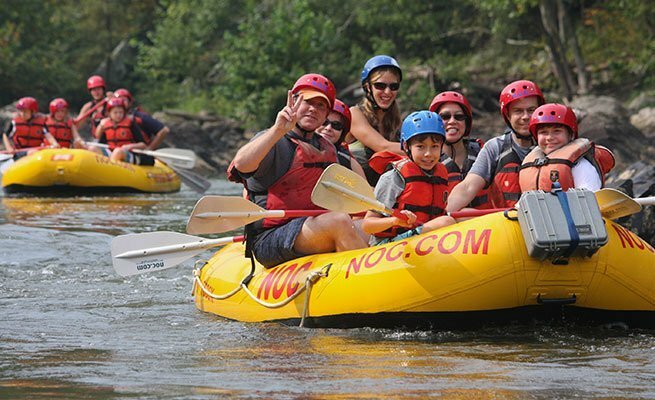 With its warm waters, continuous splashing rapids and scenic mountain views, the French Broad River is one of the best things for families to do in Asheville, NC. 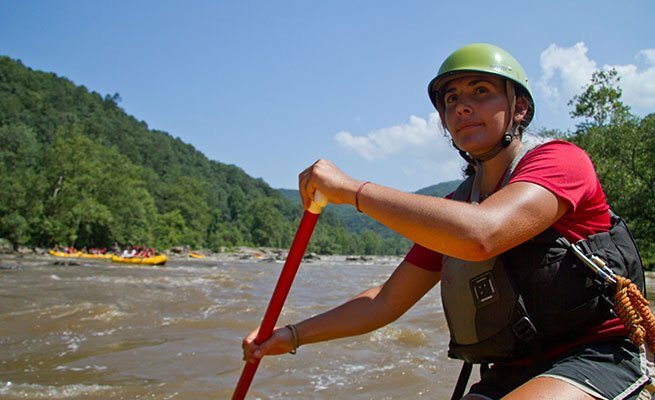 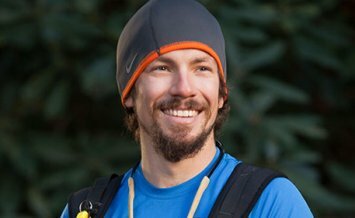 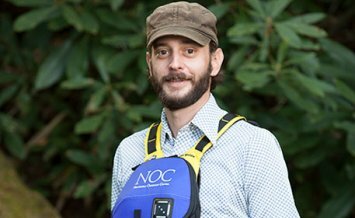 Billie Harmon Pigeon River guide Billie has a passion for the outdoors, music, theatre and teaching.